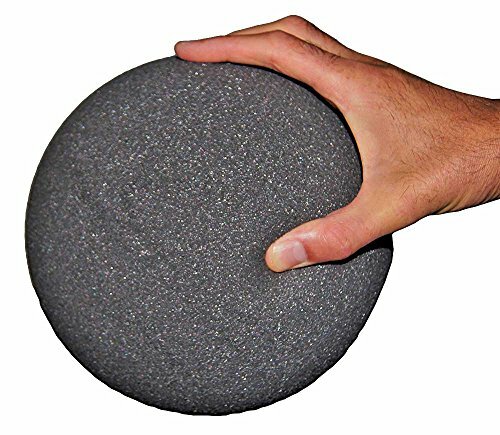 8'' Gray Foam Elephant Ball by Great Lakes Sports at Scruffs Game. MPN: 4335169567. Hurry! Limited time offer. Offer valid only while supplies last. High density foam ball with a low bounce. Realistic weight to aid in training for volleyball or soccer kicking skills. Gray color, never shows dirt. High density foam ball with a low bounce. Realistic weight to aid in training for volleyball or soccer kicking skills. Gray color, never shows dirt. Available in an 8" diameter version only. This ball is NOT skin coated like you see on Nerf type products.